After initially claiming that the Google Pixel 2 smartphone will be the first with a Qualcomm Snapdragon 836, Evan Blass now suggests that it will miss out on the unannounced chipset. 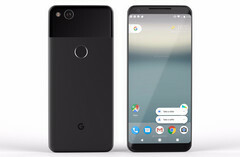 Usually reliable tipster Evan Blass seems to be in a bit of muddle when it comes the chip expected to power the next generation of Google’s Pixel smartphones. Originally thought to be powered by the current flagship chipset from Qualcomm, the Snapdragon 835 found in all the high-end flagship smartphones launched in recent months, Blass suggested the Pixel 2 models were to feature an unannounced Snapdragon 836 chipset. 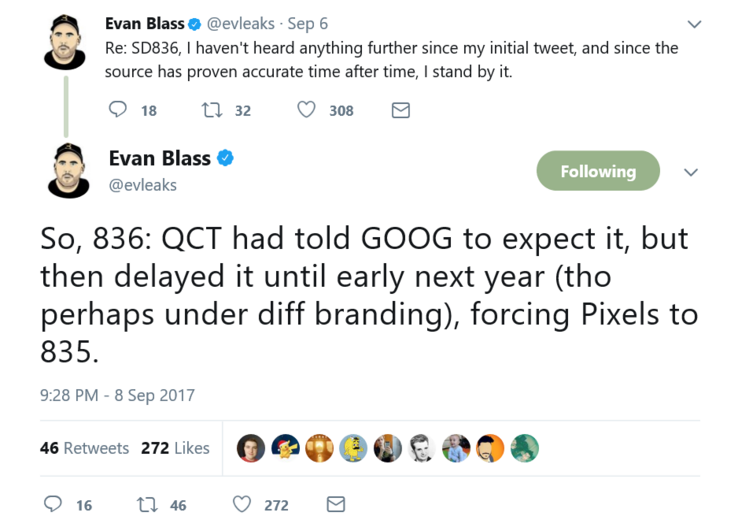 Blass’s latest tweets now suggest that the mythical 836 chipset is either now delayed, or may be released under another name next year -- if it exists at all. For fans of the Pixel 2 and Pixel 2 XL this means that the devices will now probably launch with the same Snapdragon 835 chipset found in most of its major Android competitors. What may have got Evan Blass interested in the rumors about the supposed Snapdragon 836 is that when the original Pixel smartphones launched last year they came fitted with the Snapdragon 821 chipset. This was a minor step up from the Snapdragon 820 found in competing Android flagships at the time. The Snapdragon 821, however, only offered an additional 10 percent performance boost due in large part to a higher clock speed. According an Android Police source, there is in fact no such thing as a Snapdragon 836 on the books at Qualcomm at all. Apparently the chipmaker is focused on the Snapdragon 845 that is slated as the proper successor to the Snapdragon 835. Undeterred, however, Blass now insists that his sources now tell him that Qualcomm had told Google to expect the vaporware, but then made a decision to delay it. Either way, both the Pixel 2 and Pixel XL 2 look set to make a splash when they are officially unveiled on October 5.